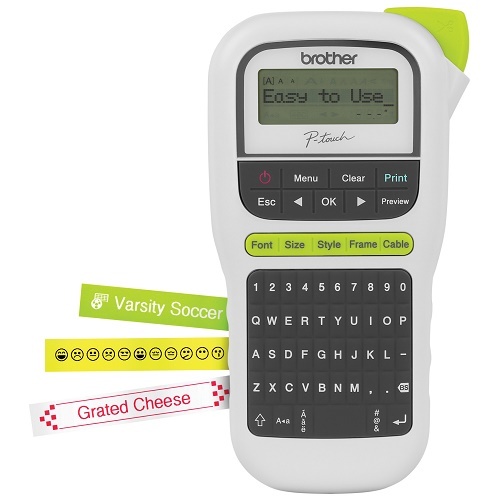 Brother P-Touch PTH110 Durable Label Printer - White + $20 Cashback! + FREE TZE Tape! Purchase this Brother label maker and we'll send out a FREE TZE-221 Tape! Promotion valid while stocks last, or until the 30th of April 2019. Purchase this label machine and redeem a $20 cashback! Visit https://www.brother.co.nz/latest-promotions/labelling-promotions for terms, conditions, and redemption. Valid until the 30th of April 2019. The PTH110 uses durable laminated and fabric labels that are sun, germ, water and temperature resistant. This means it’s equally as effective in the kitchen as it is in the garden. It also uses ribbon tapes which are ideal for arts, crafts and gifting. The wide variety of possible uses for our PTH110 makes it indispensable in any home. 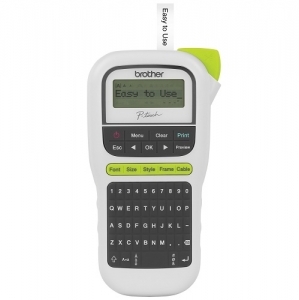 Brother’s PTH110 has your household labelling needs completely covered. 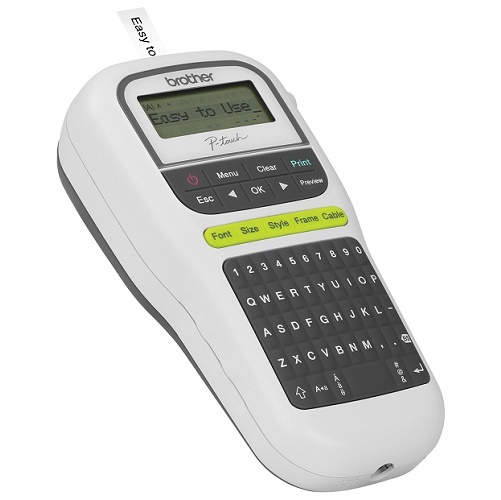 With an easy to use QWERTY keyboard and 3 fonts, 14 frames and more than 250 symbols available, you’ll be able to quickly and easily customise up to 12mm wide labels. You can even save your favourite labels for quick reprinting of up to 15 labels.